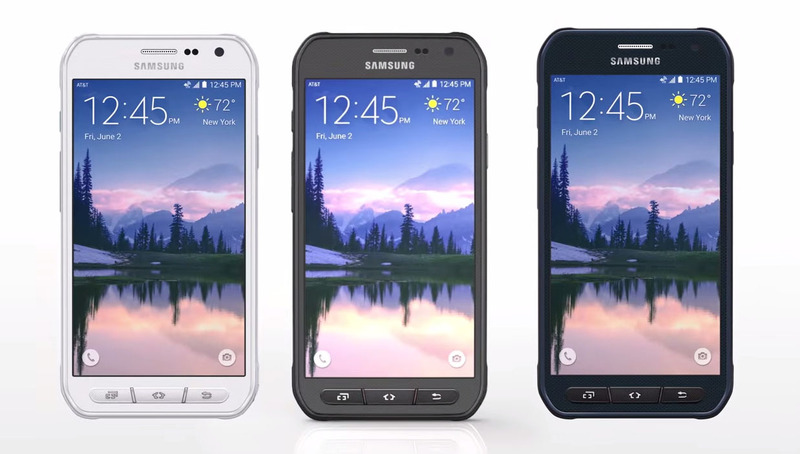 Samsung and AT&T unwrapped their latest Active exclusive this morning with an announcement of the Galaxy S6 Active. The phone is the latest in the Active line that has been an exclusive for AT&T dating back to the Galaxy S4. For those new to the Active line, think of it as a phone that is every bit as good as the current flagship (the Galaxy S6) except that it was created for an active life style. The phone is dustproof, and water and shock resistant, comes in camo colorways, and should be able to withstand drops, scrapes, and bangs. The phone still features the 5.1-inch Quad HD Super AMOLED display, cameras, and Exynos 7420 from the Galaxy S6, but again, has been given some rugged strength. Oh, Samsung also tossed in a massive 3500mAh battery. The full specs are below.